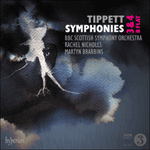 In 1933 Michael Tippett was rapturously in love, politically aflame, and all but completely unknown as a composer. He was twenty-eight, and not long returned from a trip to North Yorkshire, where he had been the musical director of work camps set up to help unemployed miners. Europe was drifting towards the far right; like many artists of the time, Tippett’s response was to hold fast to Marxism. He was critical of Stalin’s repressive policies in the Soviet Union, believing instead, with a violent passion, in the revolutionary views of the exiled Leon Trotsky. Much of Tippett’s music composed in the 1930s followed the propagandist path, but the Symphony in B flat clung to its apolitical course. The piece was the occasion for more thought, and more second thoughts, than any of Tippett’s published orchestral music. He had studied for five years at the Royal College of Music, gained a Bachelor’s degree from London University in 1928, and over the next years, while teaching at a small prep school in Surrey, composed some twenty works, all of which he soon dismissed as immature. He arranged a further course of private study with the renowned teacher R O Morris, alongside lessons in orchestration from composer Gordon Jacob. The result was a string trio in B flat, which he then orchestrated into a symphony. With this he was dissatisfied, and, retaining the central movement, composed outer movements from scratch, forming the thirty-minute piece now known as the Symphony in B flat. Initially he believed the work to mark his arrival at musical maturity, considering it his ‘Opus 1’. But eventually he withdrew it in favour of his official ‘first’ symphony, begun over a decade later. There is little in the Symphony in B flat that hints at the ‘official’ works that were to follow, which combine the techniques of Tudor and Baroque composers with a muscular counterpoint and jazzy syncopation. The symphony’s most remarkable innovation is the way it ignores all but completely every new musical trend or school that might have seduced a young composer who professed himself tired with the British musical scene: there is nothing of Schoenberg or Stravinsky, of Bartók or Hindemith. Nor is an inheritance from Elgar or Vaughan Williams especially to the fore. Tippett instead settles for a well upholstered neo-romanticism, alluding to—or merely imitative of?—figures such as Brahms and, most of all, Sibelius. The Finnish composer had a profound influence on the British symphonic world of the thirties, in which the Symphony in B flat sits comfortably, following hard on the heels of Arnold Bax’s fifth, while anticipating the first symphonies of Ernest Moeran, Edmund Rubbra and William Walton. Tippett’s admiration for Sibelius is evident in the opening bars of the Symphony in B flat, in which a solo clarinet (nodding to Sibelius’s first) begins a slow introduction that oozes into D flat major, golden with harp. The opening movement is in sonata form, laying out two contrasting subjects: the first military and chromatic, charging into the fray led by a solo trumpet and accompanying side drum; the second marked ‘tranquillamente’, introduced with a graceful skip in the clarinets and a sinuous passage for violins. It is in the transition between exposition and development that Tippett’s later-characteristic rhythmic invention flashes briefly into view, with a jazzy bridge passage for strings, accented on the ‘wrong’ beat, that seems to prophesy the concerto for double string orchestra (1938-9). The development begins by floating lengthy woodwind solos over a semiquaver string shimmer that foreshadows the first Ritual Dance from The Midsummer Marriage. Then comes the struggle between contrasts familiar from Tippett’s later work: what became his Jungian synthesis of shadow and light could here be thought of as a musical dramatization of Marxist dialectics. One of the symphony’s developmental techniques is to employ a motif from the first subject to disrupt material from the second, as when A flat major woodwind is tripped up by cellos and basses in F minor. Soon the tension has tightened and tautened into a climactic E major phrase, redolent of the finale to Vaughan Williams’s A Sea Symphony, hijacked by an A sharp in the lowest strings. A violin-lark ascends (another gesture to Vaughan Williams); a woozy clarinet solo introduces a mournful string passage. The recapitulation arrives, as it were, in reverse: the second subject appears to have triumphed, with E flat major clarinets dancing once again over harp arpeggios. But, after a blazing climax, a brief coda ends with the sudden forte reappearance of a hammering first-subject passage, which drags the movement down into the depths of B flat minor. The central movement is in ternary form, its unspooling melodies—anticipating the folk tunes that Tippett would use in later work—allowed to roam where they will. The ‘A’ passage (developed on its return) is led by a yearning Brahmsian melody in the cellos against a background of string triplets. In the long middle section a blithe song on the oboe is entangled with a startlingly chromatic, near atonal, clarinet that sends the music harmonically haywire, amid a tapestry of densely woven counterpoint, a solo violin floating above. The final movement, a rondo, tugs the symphony into a golden world of Wagner: the ‘Faith motif’ from Parsifal seems to hover in the background. A three-note phrase is unfurled through the strings, hinting at the folk song ‘Ca’ the Yowes’, important in Tippett’s later music. Brass and woodwind then unroll various melodies over a syncopated Sibelian accompaniment, chugging steadily beneath (a horn call is explicitly modelled on Sibelius’s fifth symphony). A strange peak is reached with a series of A flat major chords, above which an irrepressibly discordant solo trumpet emerges in a golden Hollywood gallop. Already Tippett’s ability to handle lengthy build-up and well-earned release is in place, and the symphony finishes, in a joyous blaze of its eponymous key, with a passage that seems to nod to the finale of Ravel’s Ma mère l’oye, a formative piece on Tippett’s journey to composition. The final bars make Sibelian use not only of chords but of silence. Tippett completed the Symphony in B flat on 15 November 1933, after roughly a year’s work (a piece of similar length in his later career could take three times as long). He had taken a job as a conductor of the South London Orchestra, founded to employ musicians put out of work when the talkies negated the need for live music in cinemas. The symphony was premiered by the orchestra at its Lambeth base, Morley College, on 4 March 1934. The critics were more than happy: ‘a remarkably capable piece of writing’; ‘a significant addition to contemporary music’; ‘the first appearance of a big talent’. But already Tippett was expressing dissatisfaction, considering the first movement ‘badly written’, and the style ‘too new to me to be quite free of the scores I have looked at’. Nevertheless the work received at least four further performances, one by the London Symphony Orchestra, over the next eighteen months (more, in fact, than his next symphony was given in the comparable period after its premiere, a decade later). Lack of publication was initially an enforced, rather than a chosen, delay. Not until 1939 was Tippett accepted by a publisher, Schott Music, to whom he submitted the manuscript of the symphony as representing the best of his back catalogue. But the paper shortages of the second world war, and the fact that Schott printed all contemporary music in their German offices, made publication impossible. This granted Tippett the odd privilege of being able to shape his List of Works in hindsight. When peace was declared he had still not abandoned this early orchestral work. In 1944 he had embarked upon another symphony, heading the manuscript ‘No 2’, and having it performed under the title ‘Symphony 1945’. It was published as ‘No 1’ in 1948, by which time the Symphony in B flat had evidently been discarded. As Tippett roved into ever more original soundscapes, his early debt to the romantic composers he had venerated perhaps began to seem all too clear, and exhuming the symphony after the war, at a time when Sibelius had fallen deeply out of fashion, may have seemed a career-damagingly retrogade step. Many of his early works were bound up with the violent politics that he eventually abandoned in favour of pacifism, and withdrawing them was a means of burying his political past. The symphony may have got caught up in this wiping-clean of troubled slates. In 2018 the Tippett Foundation decided that the composer had been too severe towards the symphony, and its first performance in over eighty years was given in Glasgow, by Martyn Brabbins and the BBC Scottish Symphony Orchestra, on 1 February 2018. Resuscitating the piece restores a vital missing paving stone on Tippett’s road to maturity and renown. So different from the works that were to follow, the symphony makes greater sense of the sea changes that were to come, and challenges all the received wisdom about his late development as a composer. Cries of ‘lost masterpiece’ must be tentative: the music has none of the irresistible momentum and originality of Tippett’s later work, and the listener may feel that it is all treatment and no material. But the Symphony in B flat is unique among Tippett’s withdrawn works for being neither juvenilia nor agitprop. Composed at the age of twenty-eight, it proves its composer to be not a late starter but an ambitious one, who would refuse to settle into a career of comfortable competency, and instead determinedly embrace the struggle involved in widening the parameters of his musical vision. During preparation of the symphony from a copyist’s score, the manuscript in Tippett’s hand was discovered, allowing the composer’s final set of revisions (dating from 1938) to be incorporated. The manuscript also revealed the symphony’s epigraph, from Hölderlin’s poem ‘Vulcan’: ‘And there’s always at least one friendly spirit who gladly blesses him, and even when the fierce, uneducated spirit-powers are angry, love still loves.’ The quotation is a reference to Tippett’s great friend and benefactor Evelyn Maude, who is the symphony’s dedicatee. But it is also a reminder that he composed it in the first throes of an intense love affair with the artist Wilfred Franks, and from the midst of a passionate belief that through revolution the world could be rebuilt. If the symphony shares one quality with Tippett’s later music, it is the capacity to respond to a darkling world by leading its listener through shadowy terrain and into the realm of exultation. En 1933, Michael Tippett était follement amoureux, enflammé sur le plan politique et presque totalement inconnu comme compositeur. Il avait vingt-huit ans et était revenu depuis peu d’un séjour dans le North Yorkshire, où il avait été directeur musical de camps de travail créés pour venir en aide aux mineurs sans emploi. L’Europe glissait vers l’extrême droite; comme beaucoup d’artistes de l’époque, la réponse de Tippett se traduisait par un profond attachement au marxisme. Il critiquait les politiques répressives de Staline en Union soviétique, croyant plutôt, avec une violente passion, aux idées révolutionnaires de Léon Trotski, qui avait été exilé. Une grande partie de la musique que Tippett composa dans les années 1930 suivit la voie propagandiste, mais la Symphonie en si bémol se cramponna à sa trajectoire apolitique. Cette œuvre fut l’occasion d’une réflexion plus poussée et donna lieu à davantage de remises en question que n’importe quelle autre œuvre pour orchestre publiée de Tippett. Il avait étudié pendant cinq ans au Royal College of Music, obtenu une licence à l’Université de Londres en 1928 et, au cours des années suivantes, tout en enseignant dans une petite école préparatoire dans le Surrey, il avait composé une vingtaine d’œuvres, qu’il rejeta bientôt jugeant qu’elles manquaient de maturité. Il s’arrangea pour poursuivre ses études avec le célèbre professeur R O Morris, tout en prenant des leçons d’orchestration avec le compositeur Gordon Jacob. Il en résulta un trio à cordes en si bémol, qu’il orchestra ensuite pour en faire une symphonie. Mais il en fut mécontent, et tout en conservant le mouvement central, il composa de toutes pièces des mouvements externes, formant ainsi l’œuvre de trente minutes connue aujourd’hui comme la Symphonie en si bémol. À l’origine, il crut que cette œuvre marquait son arrivée à maturité en matière musicale et il la considéra comme son «Opus 1». Mais il la retira finalement en faveur de sa «première» symphonie officielle, commencée plus d’une décennie plus tard. Peu de choses dans la Symphonie en si bémol laissent présager les œuvres «officielles» qui allaient la suivre de près et qui allient les techniques des compositeurs de l’ère Tudor et de l’ère baroque à un contrepoint musclé et à la syncope jazzy. L’innovation la plus remarquable de cette symphonie est la manière dont elle ignore complètement les nouvelles tendances et écoles musicales qui auraient pu séduire un jeune compositeur qui se disait lassé de la scène musicale britannique: il n’y a rien de Schoenberg ou de Stravinski, de Bartók ou de Hindemith. Il n’y a pas non plus d’héritage vraiment perceptible d’Elgar ou de Vaughan Williams. Tippett se contente plutôt d’un néoromantisme bien rembourré, faisant allusion—ou imitant simplement—des personnalités comme Brahms et, surtout, Sibelius. Le compositeur finlandais eut une profonde influence sur l’univers symphonique britannique des années 1930, dans lequel la Symphonie en si bémol occupe une place confortable, marchant de près sur les traces de la cinquième symphonie d’Arnold Bax, tout en préfigurant les premières symphonies d’Ernest Moeran, Edmund Rubbra et William Walton. L’admiration que portait Tippett à Sibelius est manifeste dans les premières mesures de la Symphonie en si bémol, où une clarinette solo (un clin d’œil à la première de Sibelius) entame une introduction lente qui s’écoule vers un ré bémol majeur auquel la harpe apporte une touche précieuse. Le premier mouvement est en forme sonate, exposant deux sujets contrastés: le premier militaire et chromatique, qui se précipite dans une mêlée menée par la trompette solo qu’accompagne la caisse claire; le second marqué «tranquillamente», introduit avec un gracieux petit saut aux clarinettes et un passage sinueux aux violons. C’est dans la transition entre l’exposition et le développement qu’apparaît brièvement l’invention rythmique qui sera par la suite caractéristique de Tippett, avec un pont jazzy confié aux cordes, accentué sur le «mauvais» temps, qui semble annoncer le concerto pour double orchestre à cordes (1938-39). Le développement commence par faire flotter d’assez longs solos des bois sur un chatoiement de doubles croches des cordes qui anticipe la première Danse rituelle de The Midsummer Marriage. Vient ensuite la lutte entre les contrastes, typique de la production ultérieure du compositeur: ce qui devint sa synthèse jungienne d’ombre et de lumière pourrait être ici considérée comme une dramatisation musicale de la dialectique marxiste. L’une des techniques de développement de cette symphonie consiste à employer un motif du premier sujet pour désorganiser le matériel du deuxième sujet, comme lorsque les bois en la bémol majeur sont désarçonnés par les violoncelles et les contrebasses en fa mineur. La tension se renforce bientôt et se tend dans une phrase cruciale en mi majeur, évoquant le finale de A Sea Symphony de Vaughan Williams, détournée par un la dièse aux cordes les plus graves. Un violon-alouette s’envole (autre allusion à Vaughan Williams); un étourdissant solo de clarinette introduit un passage mélancolique des cordes. La réexposition arrive, comme si elle se présentait à l’envers: le second sujet semble avoir triomphé, avec les clarinettes en mi bémol majeur dansant une fois encore sur des arpèges de harpe. Mais, après un sommet flamboyant, une courte coda s’achève avec la réapparition soudaine forte du passage martelé du premier sujet, qui précipite le mouvement dans les profondeurs de si bémol mineur. Le mouvement central est de forme ternaire, les mélodies qui s’y déroulent préfigurant les airs traditionnels que Tippett allait utiliser par la suite, libres de vagabonder où ils veulent. Le passage «A» (développé lorsqu’il revient) commence sur une mélodie brahmsienne langoureuse confiée aux violoncelles sur un fond sonore de triolets des cordes. Dans la longue section centrale, un chant joyeux au hautbois s’enchevêtre sur une clarinette étonnamment chromatique, presque atonale, qui perturbe la musique sur le plan harmonique, au milieu d’une trame contrapuntique au tissage serré, avec un violon solo qui flotte au-dessus. Le dernier mouvement, un rondo, entraîne la symphonie dans un monde doré de style wagnérien: le «motif de la foi» de Parsifal semble planer en arrière-plan. Une phrase de trois notes se déploie au travers des cordes, faisant allusion à la chanson traditionnelle «Ca’ the Yowes», qui jouera un rôle important dans la musique ultérieure de Tippett. Les cuivres et les bois déroulent ensuite diverses mélodies sur un accompagnement syncopé dans le style de Sibelius, une sorte de halètement régulier (un appel de cor est explicitement modelé sur la cinquième symphonie de Sibelius). On parvient à un étrange sommet avec une série d’accords de la bémol majeur, au-dessus desquels une trompette solo irrépressiblement discordante émerge dans un merveilleux galop hollywoodien. Déjà on perçoit l’aptitude de Tippett à manier de très longues montées dramatiques et des détentes bien méritées, et la symphonie s’achève, dans le joyeux embrasement de sa tonalité éponyme, sur un passage qui semble se référer au finale de Ma mère l’oye de Ravel, pièce formatrice dans le parcours créateur de Tippett. Les dernières mesures font usage non seulement d’accords mais aussi de silence à la manière de Sibelius. Tippett acheva la Symphonie en si bémol le 15 novembre 1933, après y avoir travaillé pendant à peu près un an (plus tard au cours de sa carrière, une pièce d’une longueur analogue pourra lui prendre trois fois plus de temps). Il occupait un emploi de chef d’orchestre à la tête du South London Orchestra, fondé pour donner du travail à des musiciens qui avaient perdu leur emploi lorsque l’apparition des films parlants avait réduit à néant le besoin de musique vivante dans les salles de cinéma. Cette symphonie fut créée par l’orchestre dans son lieu de résidence de Lambeth, à Morley College, le 4 mars 1934. La critique fut très favorable: «une œuvre écrite avec une remarquable compétence»; «un ajout important à la musique contemporaine»; «la première apparition d’un grand talent». Mais Tippett exprima déjà son mécontentement, considérant que le premier mouvement était «mal écrit» et le style «trop nouveau pour moi pour être tout à fait libéré des partitions que j’ai consultées». Néanmoins, cette œuvre fit l’objet d’au moins quatre autres exécutions, dont une par le London Symphony Orchestra, au cours des dix-huit mois suivants (en fait, davantage que sa symphonie suivante sur une période comparable après sa création, dix ans plus tard). L’absence de publication résulta à l’origine d’un retard forcé et non d’un choix. C’est seulement en 1939 que Tippett fut accepté par un éditeur, Schott Music, auquel il soumit le manuscrit de la symphonie comme représentant le meilleur de son fonds de catalogue. 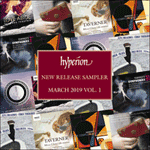 Mais la pénurie de papier de la Seconde Guerre mondiale et le fait que Schott imprimait toute la musique contemporaine dans ses bureaux allemands rendirent impossible la publication, ce qui donna à Tippett le privilège exceptionnel de pouvoir formuler sa liste d’œuvres avec du recul. À la fin des hostilités, il n’avait pas encore abandonné cette œuvre orchestrale de jeunesse. En 1944, il s’était lancé dans une autre symphonie, qui porte la mention «nº 2» sur le manuscrit et qu’il fit exécuter sous le titre «Symphonie 1945». Elle fut publiée comme «nº 1» en 1948, époque où la Symphonie en si bémol avait apparemment été écartée. Comme Tippett vagabondait dans des environnements sonores toujours plus originaux, sa dette initiale envers les compositeurs romantiques qu’il avait vénérés devenait peut-être trop évidente, et exhumer cette symphonie après la guerre, à une époque où Sibelius était largement passé de mode, aurait pu sembler rétrograde et préjudiciable à sa carrière. Bon nombre de ses premières œuvres baignaient dans la politique de violence qu’il finit par abandonner en faveur du pacifisme, et les retirer était un moyen d’enterrer son passé politique. Cette symphonie fit peut-être partie de ce grand ménage. En 2018, la Tippett Foundation décida que le compositeur avait été trop sévère envers cette symphonie; elle fut rejouée pour la première fois depuis plus de quatre-vingts ans à Glasgow, par Martyn Brabbins et le BBC Scottish Symphony Orchestra, le 1er février 2018. La résurrection de cette œuvre rétablit un maillon, manquant essentiel dans le cheminement de Tippett vers la maturité et la renommée. Si différente des œuvres qui allaient suivre, cette symphonie permet de mieux comprendre les profonds changements qui allaient ensuite s’opérer et va à contre-courant de toutes les idées reçues sur son évolution tardive en tant que compositeur. Il faut parler de «chef-d’œuvre perdu» avec circonspection: la musique n’a rien de l’irrésistible élan et de l’originalité des œuvres ultérieures de Tippett, et l’auditeur peut estimer que ce n’est que du traitement, sans aucun matériel. Mais la Symphonie en si bémol est unique parmi les œuvres retirées de Tippett car ce n’est ni une œuvre de jeunesse ni de l’agit-prop. Composée à l’âge de vingt-huit ans, elle démontre que son compositeur n’a pas mis du temps à se développer mais qu’il était un débutant ambitieux, refusant la perspective d’une carrière confortable pour embrasser résolument la lutte qu’imposait l’élargissement des paramètres de sa vision musicale. Au cours de la préparation de la symphonie d’après la partition d’un copiste, le manuscrit de la main de Tippett fut découvert, ce qui permit d’incorporer les dernières révisions du compositeur (datant de 1938). Le manuscrit révéla aussi l’épigraphe de la symphonie, tirée du poème d’Hölderlin «Vulcain»: «Et il y a au moins un esprit amical qui le bénit avec bienveillance, et même lorsque les pouvoirs féroces et incultes de l’esprit sont fâchés, l’amour aime toujours.» Cette citation est une référence à la grande amie et bienfaitrice de Tippett, Evelyn Maude, qui est la dédicataire de cette symphonie. Mais elle nous rappelle aussi qu’il la composa au tout début d’une intense liaison avec l’artiste Wilfred Franks, et qu’il avait alors la profonde conviction que, par le biais de la révolution, le monde pouvait être reconstruit. Si la symphonie partage une qualité avec la musique ultérieure de Tippett, c’est sa capacité à répondre à un monde ténébreux en menant son auditeur le long d’un terrain ombragé au royaume de l’exultation. 1933 war Michael Tippett glücklich verliebt, politisch entflammt und als Komponist praktisch überhaupt nicht bekannt. Er war 28 Jahre alt und hatte kurz zuvor eine Reise nach North Yorkshire unternommen, wo er als Musikdirektor in Arbeitslagern für entlassene Bergarbeiter tätig gewesen war. Europa driftete stark zur politischen Rechten und wie viele Künstler der Zeit reagierte auch Tippett damit, dass er sich an den Marxismus hielt. Stalins Repressalien in der Sowjetunion stand er kritisch gegenüber und glaubte stattdessen leidenschaftlich an die revolutionären Konzepte des im Exil lebenden Leon Trotsky. Viele Werke Tippetts aus den 1930er Jahren folgten den Vorgaben einer Propaganda, doch die Sinfonie in B hielt an ihrem apolitischen Kurs fest. Das Stück lieferte mehr Denkanstöße und mehr Meinungsänderungen als alle anderen veröffentlichten Orchesterwerke Tippetts. Er hatte fünf Jahre lang am Royal College of Music studiert, 1928 einen Bachelor-Abschluss an der London University erlangt und in den folgenden Jahren, während er an einer kleinen Privatschule in der Grafschaft Surrey unterrichtete, etwa zwanzig Werke komponiert, die er allerdings bald darauf als unreif abtat. Er studierte privat bei dem angesehenen Lehrer Reginald Owen Morris weiter und nahm zudem Instrumentationsunterricht bei dem Komponisten Gordon Jacob. Das Ergebnis war ein Streichtrio in B, welches er dann als Sinfonie einrichtete. Damit war er jedoch unzufrieden, so dass er die beiden Außensätze ganz neu komponierte und nur den mittleren Satz beibehielt. Daraus ergab sich das 30-minütige Stück, welches jetzt als Sinfonie in B bekannt ist. Zunächst glaubte er, dass er damit seine musikalische Reife erreicht habe und betrachtete sie als sein „Opus 1“. Schließlich zog er sie jedoch auch wieder zurück, um sie mit seiner offiziellen „ersten“ Sinfonie zu ersetzen, die er über eine Dekade später begann. Nur wenig deutet in der Sinfonie in B auf den Stil der „offiziellen“ Werke hin, die folgen sollten und in denen die Techniken der Tudor- und Barockkomponisten mit einem muskulösen Kontrapunkt und Jazz-Synkopen kombiniert werden. Die bemerkenswerteste Innovation der Sinfonie ist, dass hier praktisch alle neuen musikalischen Trends oder Denkansätze ignoriert werden, die einen jungen Komponisten, der der britischen Musikszene müde war, hätten verführen können: Anklänge an Schönberg, Strawinsky, Bartók oder Hindemith sucht man hier vergeblich. Auch eine Nachfolge Elgars oder Vaughan Williams’ wird nicht sonderlich betont. Stattdessen entscheidet sich Tippett für einen gut gepolsterten neoromantischen Stil, mit dem er auf Komponisten wie Brahms und, vor allem, Sibelius anspielt (oder sie lediglich imitiert?). Der Finne prägte die britische sinfonische Welt der dreißiger Jahre sehr, und dieser Welt entstammte die Sinfonie in B, die der fünften Sinfonie von Arnold Bax auf dem Fuße folgte und die ersten Sinfonien von Ernest Moeran, Edmund Rubbra und William Walton antizipierte. Tippetts Bewunderung für Sibelius wird gleich zu Beginn der Sinfonie in B deutlich, wo zudem eine Solo-Klarinette (in Anspielung auf Sibelius’ Erste) eine langsame Einleitung beginnt, die nach Des-Dur hinübersickert und mit goldenen Harfentönen erklingt. Der erste Satz steht in Sonatenform und präsentiert zwei gegensätzliche Themen: das erste, militärisch und chromatisch, stürmt ins Gefecht und wird dabei von einer Solotrompete angeführt und einer kleinen Trommel begleitet. Das zweite ist mit „tranquillamente“ überschrieben, wird mit einem anmutigen Sprung in den Klarinetten und einer geschmeidigen Geigenpassage eingeleitet. In der Überleitung von der Exposition in die Durchführung zeigt sich kurz die rhythmische Phantasie Tippetts, die später so charakteristisch für ihn werden sollte—hier erklingt ein jazziger Übergang für Streicher mit Akzenten auf dem „falschen“ Schlag, womit schon sein Konzert für doppeltes Streichorchester (1938-39) anklingt. Die Durchführung beginnt mit langen schwebenden Holzbläsersolos über einem Sechzehntel-Streicherschimmer, der den ersten rituellen Tanz aus seiner Oper The Midsummer Marriage erahnen lässt. Danach kommt der Kampf der Kontraste, den man aus Tippetts späteren Werken kennt: was schließlich seine Jung’sche Synthese von Schatten und Licht wurde, könnte hier als eine musikalische Dramatisierung der Marx’schen Dialektik beschrieben werden. Eine der Durchführungstechniken, die in der Sinfonie verwendet sind, besteht darin, dass ein Motiv aus dem ersten Thema eingesetzt wird, um das Material des zweiten zu stören, so zum Beispiel, wenn das As-Dur der Holzbläser von den Celli und Bassi in f-Moll zu Fall gebracht wird. Bald ist die Spannung gestrafft und es erklingt eine höhepunktartige E-Dur-Phrase, die an das Finale von Vaughan Williams’ A Sea Symphony erinnert, was wiederum von einem Ais in den tiefsten Streichern durchkreuzt wird. Eine Geigen-Lerche steigt auf (eine weitere Anspielung auf Vaughan Williams); ein benebeltes Klarinettensolo leitet eine trauervolle Streicherpassage ein. Die Reprise beginnt sozusagen umgekehrt: das zweite Thema scheint triumphiert zu haben und Klarinetten in Es-Dur tanzen wiederum über Harfen-Arpeggien. Nach einem gleißenden Höhepunkt endet die kurze Coda jedoch mit einer plötzlichen Wiederkehr der hämmernden Passage des ersten Themas im Forte, womit der Satz in die Tiefen von b-Moll gezogen wird. Der mittlere Satz hat eine dreiteilige Anlage und die Melodien, die hier anklingen, nehmen die Volksmelodien vorweg, die Tippett in seinen späteren Werken verwenden sollte und die nach Belieben umherstreunen können. Der „A“-Teil (der in der Wiederholung durchgeführt wird) wird angeführt von einer sehnsuchtsvollen Brahms’schen Melodie in den Celli vor einem Hintergrund von Streichertriolen. In dem langen Mittelteil ist ein unbeschwertes Lied der Oboe mit einer erschreckend chromatischen, fast atonalen Klarinettenlinie verstrickt, was innerhalb eines eng gewobenen Kontrapunkts mit einer über allem schwebenden Geige für harmonisches Chaos sorgt. Der letzte Satz, ein Rondo, zerrt die Sinfonie in eine goldene Wagner’sche Welt hinein: das „Glaubensmotiv“ aus dem Parsifal scheint sich im Hintergrund aufzuhalten. Eine Dreiton-Phrase entfaltet sich in den Streichern und spielt auf das Volkslied „Ca’ the Yowes“ an, das in Tippetts späterer Musik wichtig werden sollte. Die Blech- und Holzbläser präsentieren dann verschiedene Melodien über einer synkopierten Begleitung, die an Sibelius erinnert und ohne Unterbrechung unterhalb der Melodien voranstapft (ein Hornsignal spielt explizit auf Sibelius’ fünfte Sinfonie an). Mit einer Serie von As-Dur-Akkorden wird ein seltsamer Gipfel erreicht, über dem ein unbändig misstönendes Trompetensolo in einem goldenen Hollywood-Galopp von dannen rast. Tippetts Fähigkeit, einen langen Aufbau und dann eine wohlverdiente Erlösung zu gestalten, zeigt sich bereits hier und die Sinfonie geht mit einem freudigen Glanz in ihrer Haupttonart zu Ende, und zwar mit einer Passage, die auf das Finale von Ravels Ma mère l’oye zu verweisen scheint, ein prägendes Werk auf Tippetts Reise zur Komposition. In den Schlusstakten erklingen nicht nur an Sibelius erinnernde Akkorde, sondern auch Ruhe. Tippett stellte die Sinfonie in B am 15. November 1933 fertig, nachdem er etwa ein Jahr daran gearbeitet hatte (später in seiner Laufbahn konnten Werke von ähnlicher Länge eine dreimal so lange Entstehungszeit haben). Er hatte die Position als Dirigent des South London Orchestra angenommen, welches gegründet worden war, um die Musiker zu engagieren, die durch die Einführung von Tonfilmen ihre Kino-Stellen verloren hatten. Die Sinfonie wurde von diesem Orchester am 4. März 1934 am Morley College im Londoner Stadtteil Lambeth uraufgeführt. Die Kritik war äußerst anerkennend: „eine bemerkenswert begabte Komposition“, „eine wichtige Ergänzung zur zeitgenössischen Musik“, „der erste Auftritt eines großen Talents“. Doch Tippett äußerte bereits Unzufriedenheit, betrachtete den ersten Satz als „schlecht geschrieben“ und den Stil als „mir noch so neu, dass er sich von den mir bekannten Werken noch nicht loslösen konnte“. Trotzdem wurde das Werk in den folgenden 18 Monaten noch mindestens viermal gegeben—einmal vom London Symphony Orchestra—, was insgesamt mehr Aufführungen waren, als seine folgende Sinfonie in dem entsprechenden Zeitraum nach der Premiere eine Dekade später erfuhr. Es lag nicht an dem Komponisten, dass die Sinfonie nicht gleich herausgegeben wurde. Erst 1939 erklärte sich ein Verlag—Schott—bereit, Tippett zu publizieren, dem er das Manuskript der Sinfonie als bestes seiner bereits existierenden Werke schickte. Jedoch aufgrund des kriegsbedingten Papiermangels und der Tatsache, dass Schott alle zeitgenössischen Werke in Deutschland druckte, war die Publikation unmöglich. Dadurch genoss Tippett das seltsame Privileg, seinen Werkekatalog rückblickend anzulegen. Bei Kriegsende hatte er sich von diesem frühen Orchesterwerk noch nicht abgewandt. 1944 hatte er mit einer weiteren Sinfonie angefangen und trug im Manuskript „No 2“ ein und ließ sie unter dem Titel „Symphony 1945“ aufführen. Sie wurde 1948 als „No 1“ herausgegeben, als die Sinfonie in B inzwischen offenbar verworfen worden war. Als Tippett zunehmend ausgefallene und originelle Klangwelten ansteuerte, erschien seine frühe Orientierung an den romantischen Komponisten, die er verehrte, möglicherweise allzu deutlich, und die Sinfonie nach dem Krieg wieder auszugraben, als Sibelius sehr aus der Mode gekommen war, hätte rückschrittlich und karriereschädlich wirken können. Viele seiner Frühwerke waren mit brutaler Politik verstrickt, von der er sich schließlich zugunsten seiner pazifistischen Ideale abwandte; dementsprechend zog er jene Werke zurück, um seine politische Vergangenheit zu begraben. Die Sinfonie mag dieser Umorientierung zum Opfer gefallen sein. 2018 entschied die Tippett Foundation, dass der Komponist die Sinfonie zu streng behandelt habe, und die erste Aufführung nach über achtzig Jahren fand am 1. Februar 2018 in Glasgow mit dem BBC Scottish Symphony Orchestra unter der Leitung von Martyn Brabbins statt. Mit der Wiederbelebung dieses Stücks zeichnet sich ein wichtiger Meilenstein auf Tippetts Weg zur Reife und zur Anerkennung ab. Die Sinfonie setzt sich sehr von den ihr folgenden Werken ab und beleuchtet gleichwohl die bevorstehenden Umbrüche und stellt herkömmliche Thesen zu seinen späten kompositorischen Entwicklungen infrage. Sie sollte jedoch wohl nicht gleich als „verlorenes Meisterwerk“ hingestellt werden—der Musik fehlt etwa die unwiderstehliche Schwungkraft und Originalität der späteren Werke Tippetts und bei dem Hörer mag der Eindruck entstehen, dass hier nicht so sehr musikalisches Material als vielmehr Bearbeitungstechniken zum Zuge kommen. Doch ist die Sinfonie in B insofern unter Tippetts zurückgezogenen Werken einzigartig, als dass sie weder ein Jugendwerk noch Agitprop ist. Sie entstand, als Tippett 28 Jahre alt war und beweist, dass ihr Komponist nicht ein Spätzünder, sondern ein ehrgeiziger Künstler war, der sich nicht mit bequemer Kompetenz zufriedengeben wollte, sondern stattdessen zielstrebig die Mühen in Kauf nahm, die mit der Erweiterung seines musikalischen Horizonts verbunden waren. Während der Vorbereitung der Edition, der eine Partitur eines Kopisten zugrunde lag, kam auch Tippetts eigenes Manuskript wieder zum Vorschein, so dass die letzten Revisionen des Komponisten (die 1938 vorgenommen worden waren) eingearbeitet werden konnten. In dem Manuskript fand sich zudem das Epigraph der Sinfonie, welches aus Hölderlins „Vulkan“ stammt: „Und immer wohnt der freundlichen Genien / Noch Einer gerne segnend mit ihm, und wenn / Sie zürnten all’, die ungelehrgen / Geniuskräfte, doch liebt die Liebe.“ Das Zitat deutet auf Tippetts gute Freundin und Gönnerin, Evelyn Maude, die auch die Widmungsträgerin der Sinfonie ist. Zudem verweist es darauf, dass die Sinfonie zu Beginn einer heftigen Liebesaffäre mit dem Künstler Wilfred Franks entstand, und zwar aus der leidenschaftlichen Überzeugung heraus, dass die Welt durch Revolution neu errichtet werden könne. Wenn die Sinfonie eine Eigenschaft mit der späteren Musik Tippetts gemein hat, so ist es die Fähigkeit, auf eine sich verdunkelnde Welt zu reagieren, indem der Hörer durch schattiges Terrain und in das Reich des Jubels geführt wird.